One of my first answers to the question, "How do you do it all?" is ROUTINES. I find it so much easier to get things done when it is incorporated into my routine. 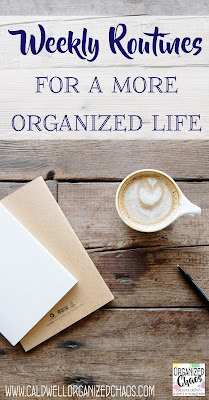 I shared a while back the tasks that I do monthly to help me stay organized, and today I'm sharing the main things I do on a weekly basis to help keep me sane throughout the week. So I'm a bit of a freak when it comes to calendars. My excuse is that I have a lot of information to manage in my schedule, but really and truly it helps calm any anxiety I have over juggling too much information in my brain and I feel much more confident starting the week when I have everything written down! 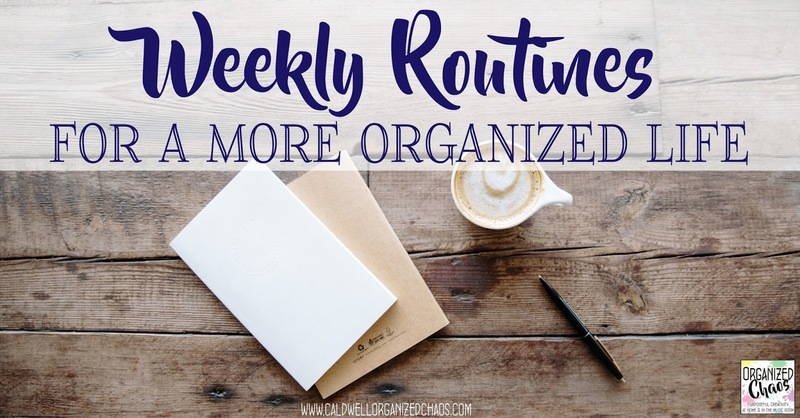 I write down important appointments, school events, and other information I need to plan my day (outside of the classroom) in 2 places on a weekly basis: my weekly dry erase calendar that hangs on my wall in my command center, and my weekly planner pages. Writing it in my planner obviously helps me get all the information I need to plan around for my lessons and write down everything I need for the week in one place. I write down important appointments and events in my command center so that I see it each morning as I'm getting ready for the day, whether I have time to glance at my planner or not. As I'm filling out my weekly calendars, I always check my monthly calendar in my planner, my school's calendar, my staff meeting schedule, and my children's school's schedule to make sure I have any information I need for that week added to my weekly calendar. It takes some time to go through each week, but it's well-worth it! I know not everyone has this luxury, but I learned quickly that it is worth it to me to buy enough clothes for me and for my daughters so that I only have to do laundry once a week. When the girls were babies I was doing laundry every few days, which was OK since I was not working then, but I cannot fathom trying to do laundry during the week right now, so having enough clothes to get us through the week keeps me sane. Unless something unusual happens, I always do my laundry on Saturday and/or Sunday and that's it for the week! Besides laundry, I've also tried to make it a part of my weekly routine to vacuum, water the plants, and clean the toilets each weekend. Getting in the habit of always doing it on the weekend makes it easier for me to remember to do these tasks that I otherwise would conveniently forget! As I new teacher I spent a lot more time planning my lessons on a daily basis, but now I try to have all of my lesson planning done for the week before Monday morning each week. 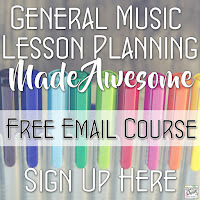 The best thing I have done this year is to plan out my lesson plans in greater detail at the beginning of each month as well, so my weekly planning is mostly a matter of plugging in the next lesson and making sure I plan around any school events, class parties etc. I try to manage my mail as I go, but usually by the end of the week I have a pile of unopened mail that I stuck in my "in box" during the week. I try to take some time each weekend to go through the pile so that I can start each week with a clean box. I have been doing weekly meal planning for about 4 years now and it is amazing. I rarely go to the grocery store more than once a week, and I don't have to scramble around on a week night trying to figure out what to make for dinner. If you aren't doing this already I highly recommend it- here is a post I wrote on my meal planners. 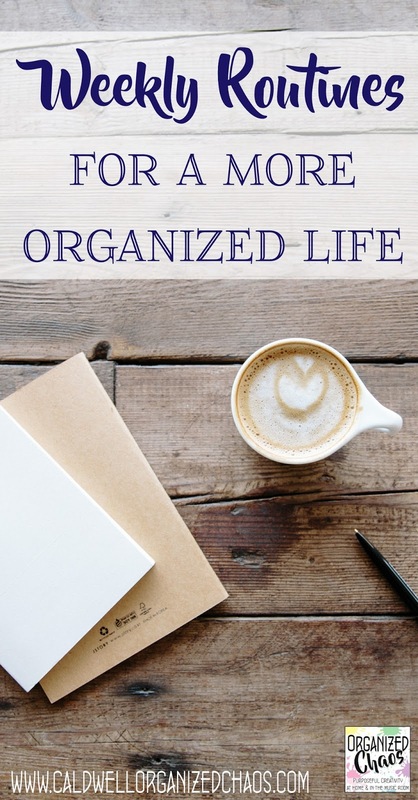 Each weekend I plan out my meals after going through my schedule, so I know which nights we might need to eat out, or when I should plan to put something in the crockpot for a busy evening, plan out lunches for me and my daughters, and make a grocery list from those plans. Those are all of my weekly routine tasks that help me stay on top of everything throughout the week. What about you? Which tasks are part of your weekly routine? Let's hear it in the comments! These are all awesome suggestions! I too always clean on weekends and use Sunday to plan for the following week. One area of improvement for me is meal planning. Not being a natural cook, it's easy for me to get lazy in that area. That's the way I am with cleaning! I'm so bad because I'm so not motivated. I love that I'm not he only crazy person who writes everything down in different places! Once I write it down I remember it and rarely have to look back at it, but if I don't write it down I'll never remember anything! I'm the exact same- it's the process of writing itself that helps me the most! How I struggle with setting routines for myself! I have designed morning and evening weekday routines for my kids and I know that these truly hold us together, but anything out of the norm may get dropped (special things for school and whatnot). 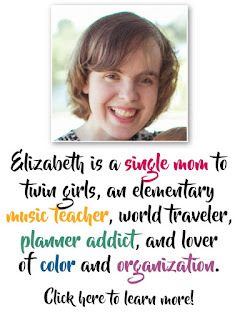 I'm also a single mom of 3 (son plus twin girls) moving into an elementary music position this year and I am anxious about how I'm going to do all of the planning (is it me or is it a TON?) and maintain a sane and happy home life. I'm so glad I found your blog!